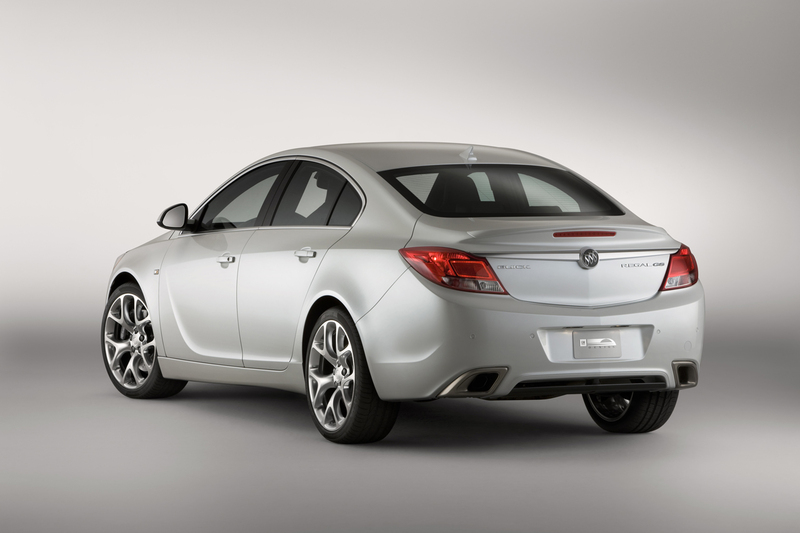 Buick this evening reveals the production version of the 2012 Regal GS, an even sportier expression of the Regal sport sedan that went on sale earlier this year and has attracted new buyers to the Buick family. Powered by a high-output, exclusive Ecotec 2.0L turbocharged engine mated to a six-speed manual transmission, the GS delivers an estimated 255 horsepower (190 kW) and 295 lb.-ft. of torque for a 0-60 mph performance of less than seven seconds (estimated). Buick's Interactive Drive Control System is standard on the GS, allowing drivers to customize the driving experience by changing the suspension settings and steering sensitivity between three modes: standard, sport and GS. 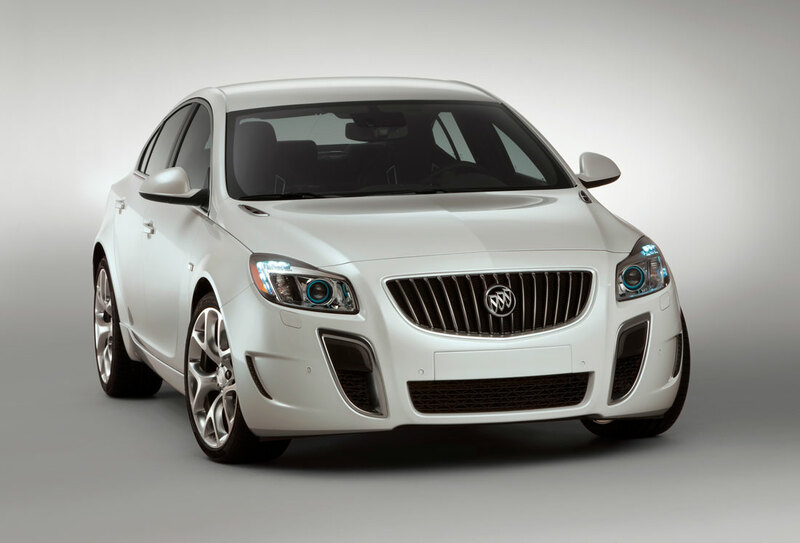 Built on the performance foundation of the Regal, the Regal GS was designed as an even sportier expression of responsive performance and style, said John Schwegman, vice president of Buick marketing. The driving experience is powerful and spirited; and the GS represents the next entry in Buick's product renaissance. High-performance four-wheel disc brake system with Brembo front calipersStandard 19-inch, 5-Twin Spoke alloy wheels and all-season tire and optional 20-inch, 5-Twin Spoke polished alloy wheels with performance tires. The exterior design features unique front and rear fascias, with the front fascia incorporating prominent, vertical air intake slots and specific grille treatment - with the vertical elements accented in a satin-metallic finish. The rear fascia has a pair of integrated, satin-metallic trapezoidal exhaust outlets. Rocker panel extensions and an integrated rear spoiler are also woven into the design. The GS cuts a sportier stance, too, with a slightly lower ride height than other models and aggressive 19-inch, 5-Twin Spoke alloy wheels and all-season tires (20-inch, 5-Twin Spoke polished alloy wheels with performance tires are optional). Inside is a racing-inspired, flat-bottom sport steering wheel and metal sport pedals, along with leather-appointed 12-way power-adjustable sport driver and front passenger heated seats, which include four-way power lumbar. The GS-specific black interior is accented with satin-finish elements on the instrument panel, steering wheel and console, while the instrument panel glows white when the driver engages the GS mode of the Interactive Drive Control System (IDCS). * Power windows with express up/down feature in the front and express down in the rear. Direct injection technology helps the engine deliver more power through increased efficiency, while maintaining fuel economy and lowering emissions. That means less fuel is consumed and lower emissions generated - including a 25-percent drop in cold-start hydrocarbon emissions. Variable valve timing optimizes power, efficiency and emissions across the entire rpm band. We've been combining direct injection and variable valve timing with boosted engines since 2006, and there's no question the Regal GS turbo has the responsiveness and acceleration of a 3.5L V6, while delivering the fuel economy of a 2.0L four, said Mike Anderson, Ecotec global chief engineer and program manager. The engine is mated to a standard six-speed manual transmission. A six-speed automatic transmission will be available later. The Regal GS rides on a relatively long wheelbase of 107.8 inches (2738 mm), which delivers refined, well-balanced vehicle dynamics. It also features a four-wheel-independent suspension, with a unique High Performance Strut (HiPerStrut) front suspension design. The HiPerStrut system helps reduce torque steer and maintain negative camber during cornering; the driver experiences reduced torque steer, improved grip and increased cornering power, along with crisper handling, steering precision and feedback. The four-link independent rear suspension is designed to minimize unwanted toe and camber effects during spirited driving maneuvers, enhancing vehicle stability. Both front and rear dampers incorporate active Computer Damping Control (CDC), continuously changing damper characteristics to maintain optimal vehicle ride control over varying road surfaces and profiles. More aggressive, performance-oriented damping characteristics can also be selected by the driver through the Interactive Driver Control System. Braking power comes from a large diameter four-wheel disc brake system featuring Brembo front calipers. A standard, four-channel anti-lock brake system is tuned to reduce stopping distances over varied road surfaces and conditions. An electronic parking brake is actuated via a center console-mounted control. The Regal GS also features standard StabiliTrak stability control system with integrated, full-function traction control. The Regal GS is also equipped with Interactive Drive Control System (IDCS) chassis technology (also offered on other Regal models with the 2.0L turbo engine). It delivers enhanced vehicle stability and greater driving safety. The driver selects among three operating modes - standard, sport and GS - that change the suspension settings, and steering sensitivity through the variable-effort steering system. A sophisticated driving mode control module continually monitors driving style utilizing yaw rate, lateral and longitudinal acceleration, steering wheel, throttle and vehicle speed. It defines the dynamic vehicle state, including acceleration, braking and cornering, to optimize chassis reactions. It also executes all of the IDCS driver selections. All four dampers are electronically controlled and continuously adapt within milliseconds to the prevailing road conditions, vehicle movements and individual driving style. Selecting GS mode optimizes the car for dynamic driving, tightening the suspension and steering response Standard,or the default mode, is the setting for all-around use. The sport mode provides a level of performance between standard and the GS modes.